Renault plans to launch the Fluence (shown) and Koleos in India next year. Renault SA once again has big plans for the fast-growing Indian market, the French automaker announced today at the Delhi auto show. "The investments that were earmarked for India, but were frozen for a while, are now back on track, and India will be seeing a re-energised Renault very soon," Katsumi Nakamura, executive vice president and leader of the French automaker's Africa-Asia management committee, said in a statement on Tuesday. "The Renault Nissan Alliance greenfield manufacturing facility in Chennai is well on track and is a key asset for our ambitions in India." In 2008, the company had put on hold its investment in the Chennai plant in south India, following the global economic slowdown. 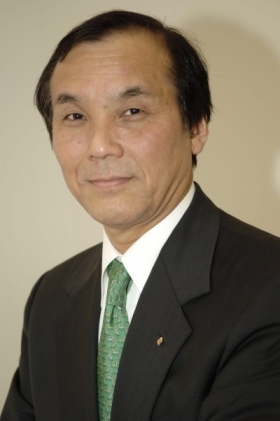 Nakamura says Renault aims to sell 50,000 to 60,000 cars a year in India within three years. "We are looking at gaining a certain market share and volume in the next three years," Nakamura told Reuters in an interview. He said the company is looking to sell 50,000 to 60,000 cars a year in India within three years. 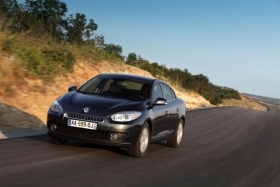 Renault plans to introduce the Fluence sedan and Koleos SUV in India in 2011. Within the next 48 months, the automaker aims to offer a full range of cars the cover entry to luxury segments, Renault India Managing Director Marc Nassif said in the statement. "We are also close to finalizing our plans for a distribution network and will definitely be in a position to announce our plans in the first week of February 2010,” Nassif added.